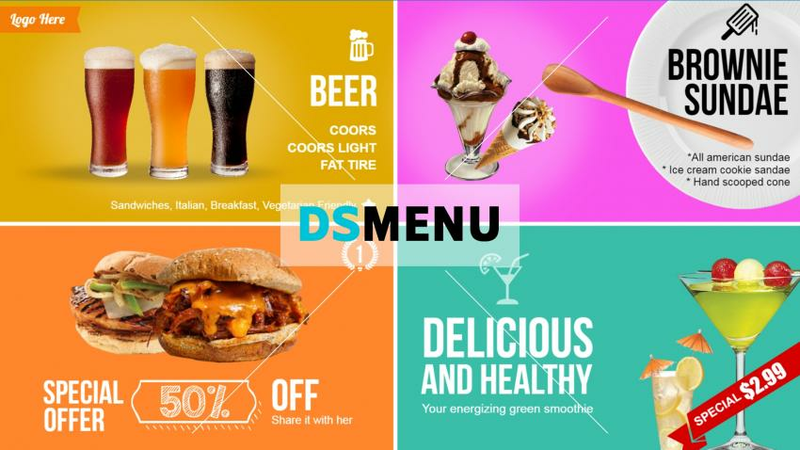 A smartly designed Ice cream shop menu with colored box to show each of the offers distinctly. Solid background color with the use of nice food graphics makes the menu board looks attractive. The menu board is ready for edit and download.